The Dutch Police on Sunday arrested a terror suspect in Rotterdam at the request of France, said the Dutch public prosecution services. A court in the United Arab Emirates on Sunday sentenced 11 defendants to life imprisonment over terror charges with two in absentia, UAE state news agency WAM reported. 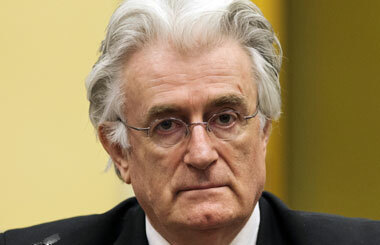 Former Bosnian Serb leader Radovan Karadzic has been sentenced to 40 years of imprisonment at the International Criminal Tribunal for the former Yugoslavia (ICTY). Six representatives from China and Japan filed a complaint to the Tokyo District Court on Thursday, suing the Japanese government over interfering in freedom of assembly and speech, and seeking 6.6 million yen (about 58,740 US dollars) in compensation. The high court's ruling in the long-running case upholds a February 2014 state Court of Appeals ruling and reverses a trial court judge's finding that Indiana had failed to prove IBM breached the $1.3 billion state contract it won in 2006. A Russian court has found Ukrainian army pilot Nadezhda Savchenko guilty of complicity in killing civilians, including two Russian journalists, in 2014, the RIA Novosti news agency reported Monday. 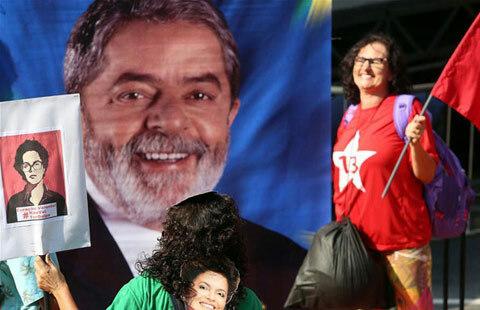 A Brazilian Supreme Court judge suspended former President Luiz Inacio Lula da Silva's newly appointed cabinet post and returned the corruption case against him to criminal court. Former president Pervez Musharraf, who faces charges of treason and murder, has left Pakistan for treatment abroad.